Kamedajima is a traditional daily-use fabric created in 1696 during the Edo period, and played an indispensable role in the everyday lives of the people of Kameda, Niigata. During the Edo period, striped fabrics were incredibly popular, as can be witnessed in many of the era’s famous ukiyo-e woodblock prints. 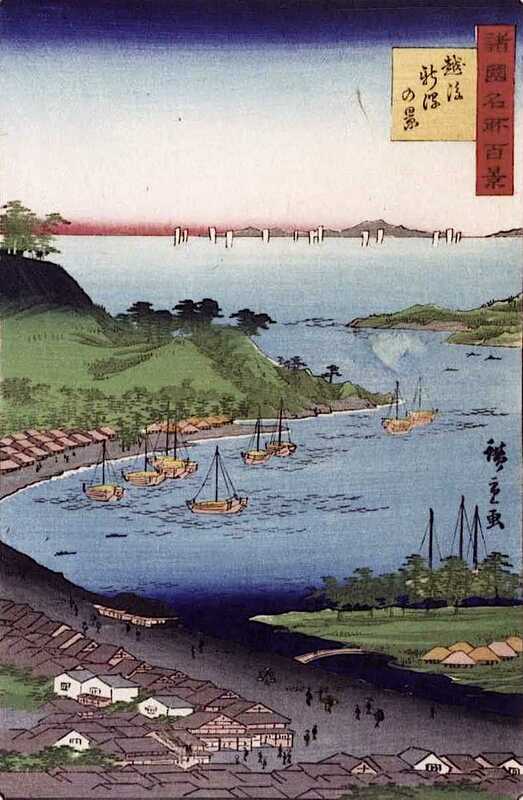 Niigata, the birthplace of kamedajima fabric, was a flourishing port city. 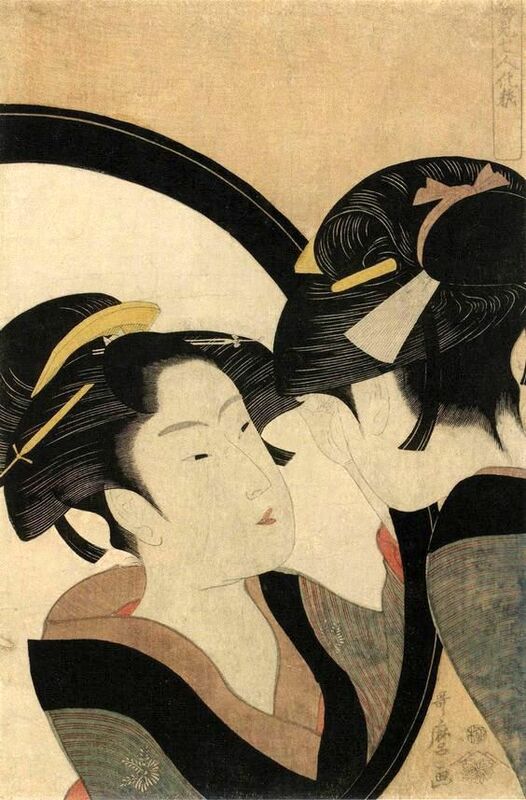 For 300 years during the Edo period, Japan enjoyed an era of undisturbed peace and creativity. 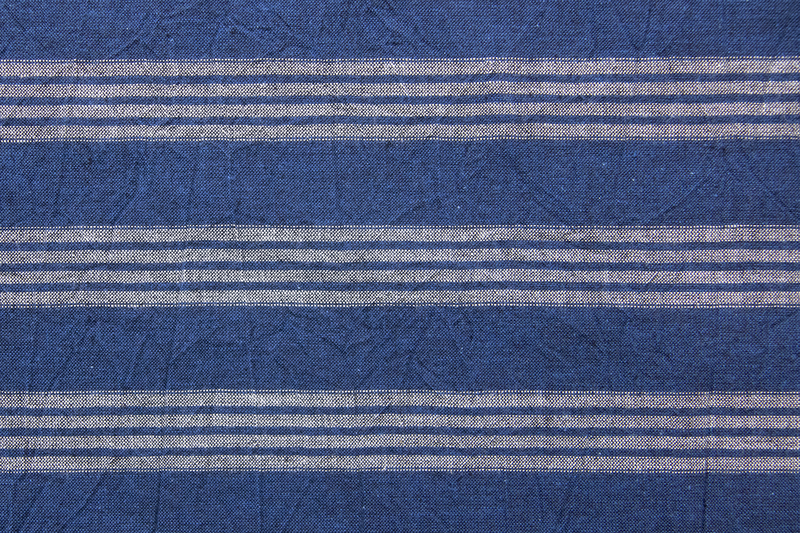 Kamedajima is a natural, gentle fabric that expresses the values and aesthetics of the era. The Edo period began with the establishment of the Tokugawa Ieyasu shogunate in 1603. It was the start of an era of peace that would last 265 years. The country was closed to the outside world, leaving Japan’s unique culture and creativity to flourish in isolation. The Edo period’s sophisticated culture naturally developed into a self-sustained, circular society. One such cycle can be seen in the production of food. People worked to raise crops such as rice; the waste of the people who ate those crops became fertilizer, and this fertilizer was in turn used to raise more crops. Furthermore, the straw from harvested rice was turned into sandals, hats, and roof thatching. The fuel for cooking food also came from plant materials. There were vendors who purchased candle wax drippings and vendors who gathered ashes and fertilizer for sale to farming villages. Edo was an era when everything was recycled and connected. The sophisticated cultural creativity of the Edo period found expression in every aspect of daily life. One such example of the era’s creativity and ingenuity can be seen in the clothing of merchants and artisans. The capital of Edo (modern-day Tokyo) was a metropolis with a population of around 1,280,000 samurai, merchants, artisans, and people of other classes. The center of culture was undergoing a shift from the samurai and nobility to the merchant class. Edo’s color culture can be witnessed in the many ukiyo-e prints featuring scenes from the kabuki theater and the Yoshiwara pleasure district, which were two of the era’s Shogunate-approved entertainment spaces. At the same time that this new glamorous culture was developing, a closer look at the lives of the merchant class reveals that the Shogunate issued sumptuary laws (laws prohibiting luxury or extravagance and encouraging frugality) on more than 200 occasions. However, these laws did not stop the advancement of fashion. To the merchant class of the day, ukiyo-e prints were a form of easily accessible entertainment, and they used these prints to imitate, develop, and spread new styles of dress and color matching. To dodge the extravagance laws, the aesthetic of “soko itari” spread among the merchant class—a style of dress that combines plain, striped or checked cotton exteriors with rich, ornate linings. Today, there are no restrictions on Japanese fashion. Perhaps that is why the ingenuity born from the restrictions of Edo fashion, which led people to pursue a sensibility of hidden adornment, seems even more stylish through modern eyes. 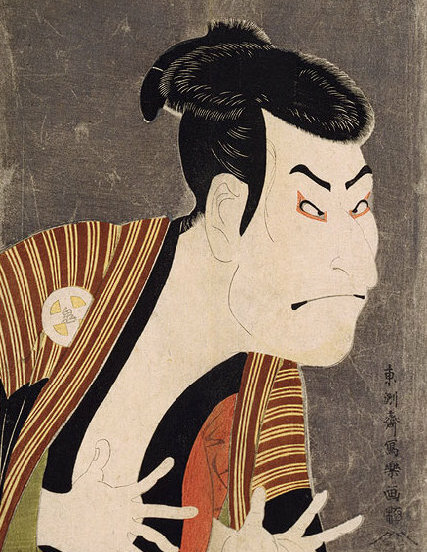 Stripes were the symbol of the Edo period’s sophisticated fashion aesthetic. Whether vertical, horizontal or checked, different stripes are created by varying the frequency of warp threads—the fixed longitudinal yarns that support the weave (in Japanese textiles two warp threads are hooked onto a single reed on the loom to form a standard unit of one “wa,” or one reed). The mansuji pattern (“ten thousand stripes”) is the most intricate weave, made by alternating the warp threads every other reed. An extraordinarily wide range of striped patterns can be made by alternating different widths of thick and thin stripes. In 2002, a preserved kamedajima swatch book was discovered in the collections of the Kameda History Museum. The samples show a variety of kamedajima striped patterns worn in the Edo period. Kamedajima fabrics frequently used indigo backgrounds with arrays of brown and dark russet. The indigo, black, brown, and gray color schemes of kamedajima feel simple and classic even through modern eyes. Although stripes and checks are some of the more assertive geometric patterns, the people of Edo used subtle color schemes to create a look that was both refined and stylish. Today, people wear clothing of all kinds of materials and patterns. However, prior to the Edo period, the clothing of Japan’s common folk was predominantly made of undyed hemp. 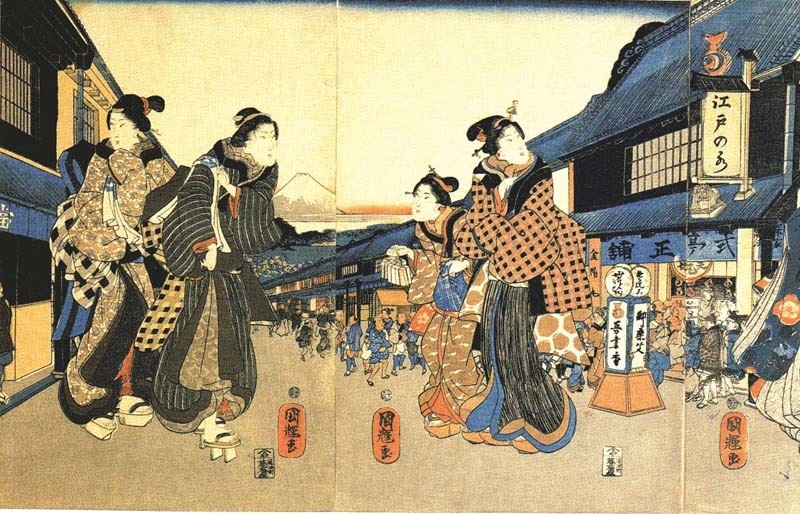 With the start of the Edo period, cotton fabrics became available, and clothing styles underwent a radical change. Compared to hemp, cotton is gentler on the skin, more absorbent, and easier to dye; the new fabric quickly spread among commoners. Cotton’s superior dyeability led to a proliferation of colors and patterns. Among them, shades of brown and grey were exceptionally well loved throughout the Edo period. A popular saying left over from the period speaks of 48 browns and 100 grays (“Shi-ju-haccha, hyaku-nezumi”), attesting to the wide variety of established browns and grays and hinting at people’s considerable attention to even slight variations in color and shade in fashion. With prohibitions on luxury, people enjoyed a subdued sense of fashion, combining plain exteriors with high-contrast complementary colors in the insides of sleeves, collars, and other hidden linings. 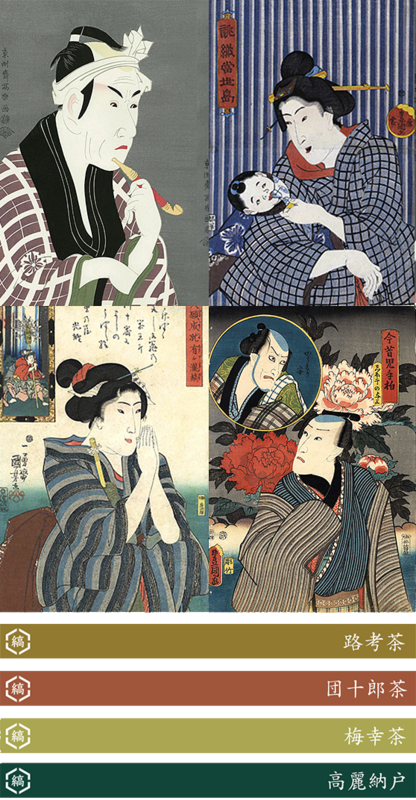 Influenced by ukiyo-e paintings, colors named after actors also became popular at this time. 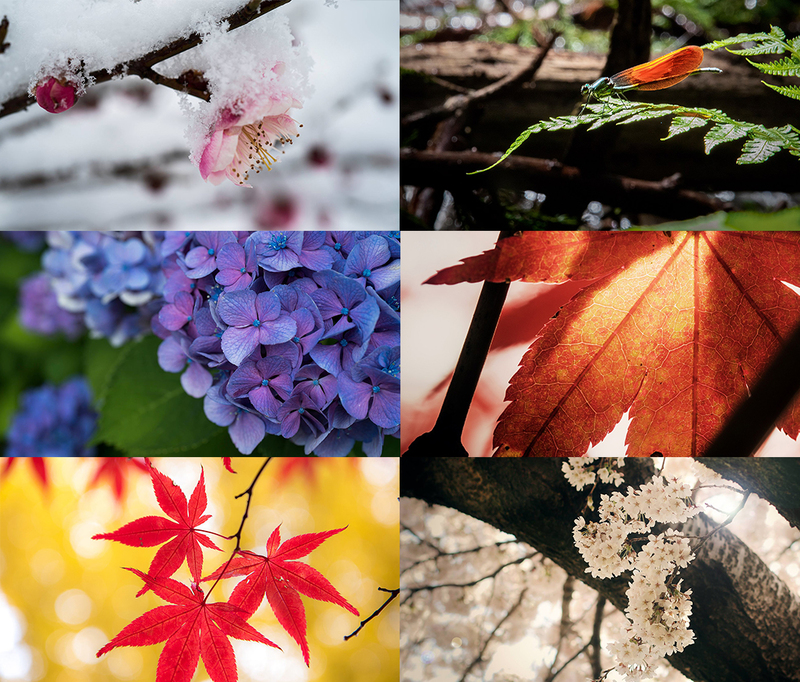 Japanese colors are rooted in nature and the seasons. Among the traditional hues used to decorate kimono, many borrow their color and expression from seasonal grasses, flowers, and insects. Kamedajima fabrics, in particular, are highly celebrated for their exquisite layering of subtle neutral colors. Each hue accentuates the next. The Edo period was an era of undisturbed peace and creativity. Natural and gentle, kamedajima fabric brings the values and aesthetics of the Edo period back to life in an array of expressive colors. If our brand concept resonates with you, we hope you will get in touch.